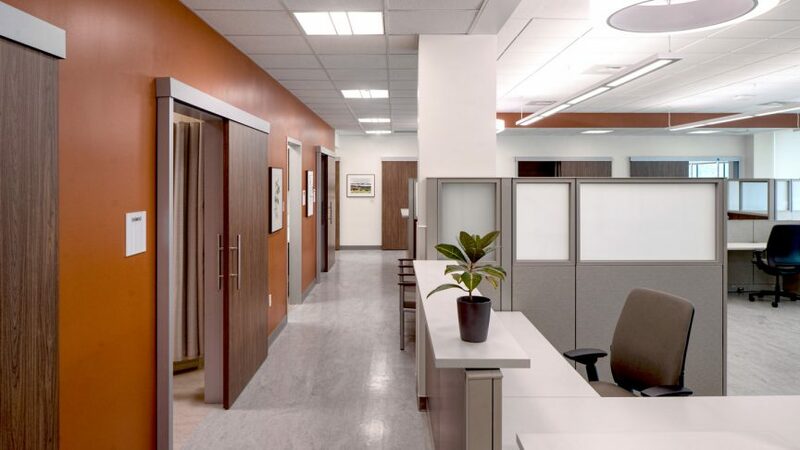 Medical Office Building A is a new 58,000 s.f. 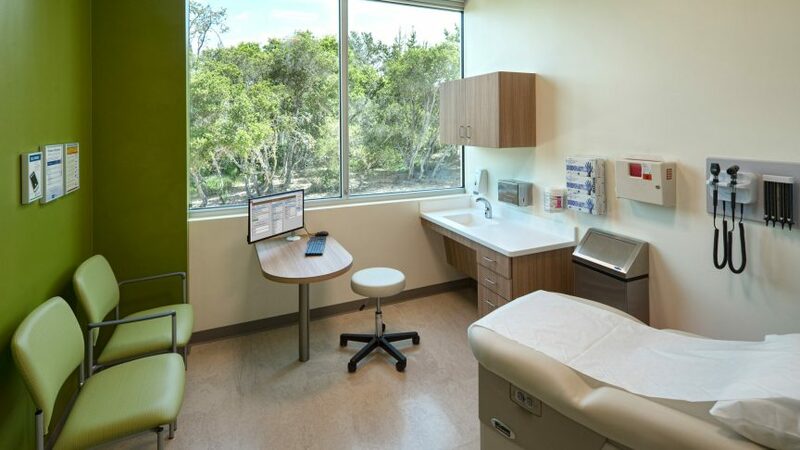 primary care, specialty, and behavioral health clinic for Montage Medical Group in Monterey, California. 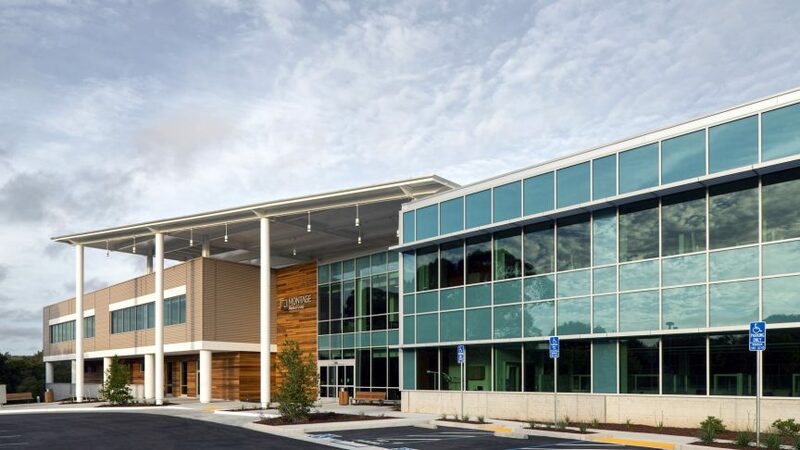 This new facility allows Montage to double their physician network and provides new services on the existing Ryan Ranch medical campus. 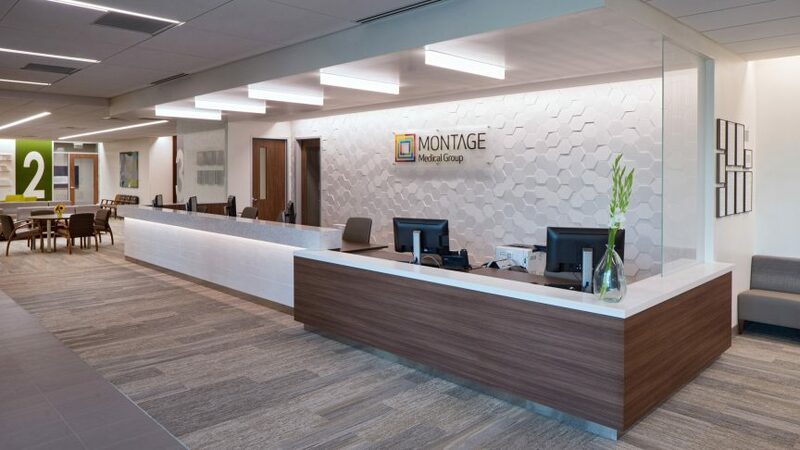 It was essential that we design a sophisticated space that not only supports Montage’s rebranding effort in the community but also allows for a seamless transition to team-based medicine. Montage believes this change will help improve flow, chronic-care management, office visit cycle time, and access to care, all in an effort address recent patient feedback from other locations indicating that wait times were long and navigation was difficult at Montage clinics. It was very important to develop a wayfinding scheme that would tie into Montage’s new branding while also catering to the aging population in Monterey. 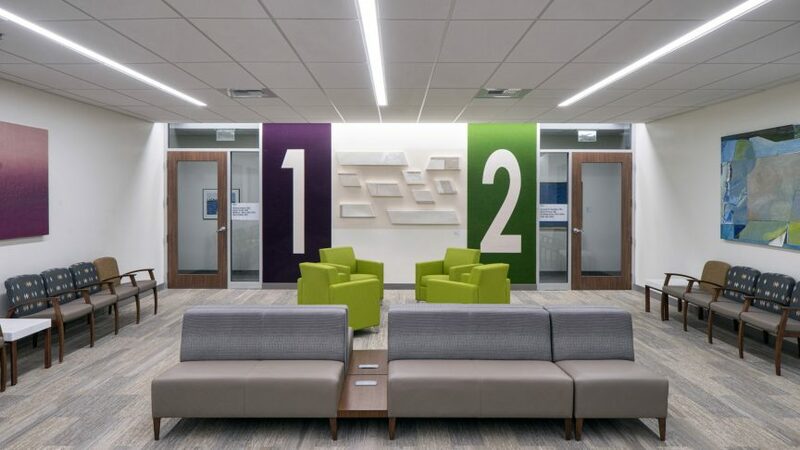 Clinic spaces are separated into “pods” and are indicated by colorful number graphics at each door. At the center of each pod is the Staff Work Area, which is surrounded by a ring of exam rooms and an exam plus room. This layout promotes positive engagement, minimizes travel time, and allows staff to easily see which rooms are occupied.